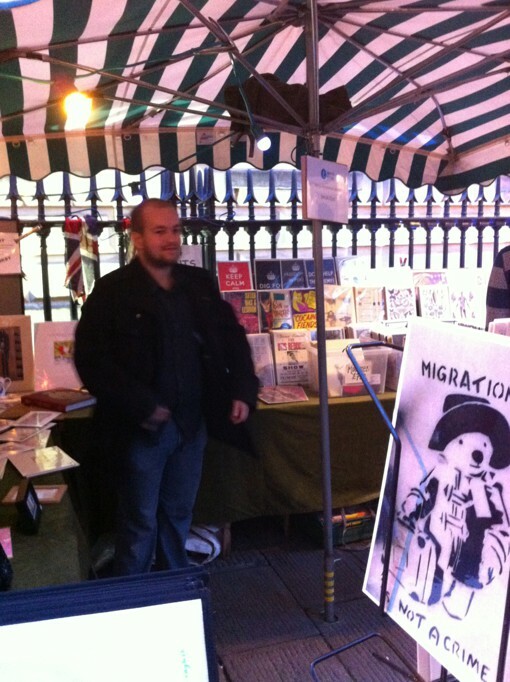 On Wesnesday, like most of Bristol I partook in the Bristol Pound launch at St. Nick's Market. Whether he enjoyed it or no, I did make Chris go under threat of perhaps death or chocolate. I can't remember, this is precisely why I can't commit myself to serial killing. 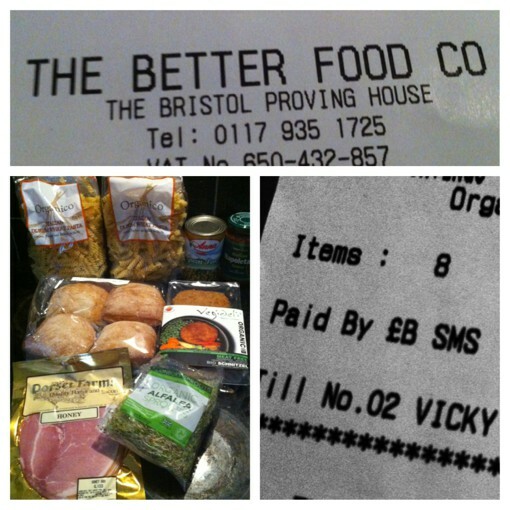 Much fun was had seeing the local producers, businesses and a wide selection of Bristolians. There were also, with no word of a lie, the best fudge brownies known of man. Made by the lovely people of Whisk. 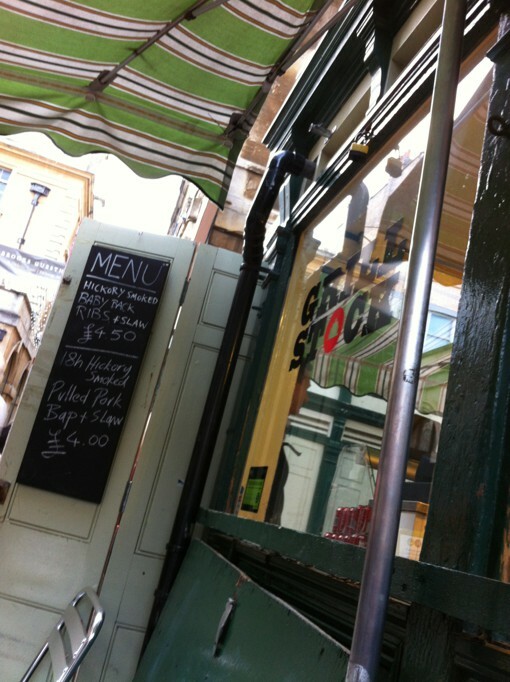 I got to raid a sweet shop, make an awkward Bristol Pound payment with one of the few companies that didn't take it yet (BUT MY GOD THAT WAS THE BEST PULLED PORK KNOWN TO MAN) and take some photos. 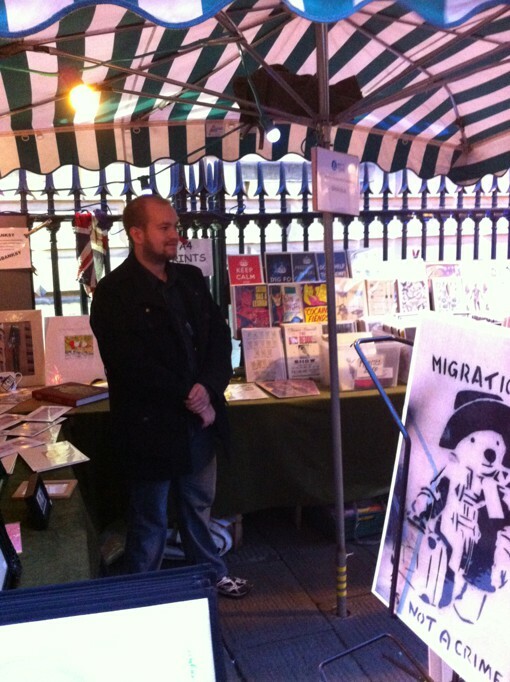 Rather amusingly Chris bought a painting from a stall owner who had to get a tube for him at his van. I have some suspicion that he may have parked where only Gurkhas could reach, but we ended up minding his stall for some time. He has some amazingly good stuff which I intend to stock up on at some stage. 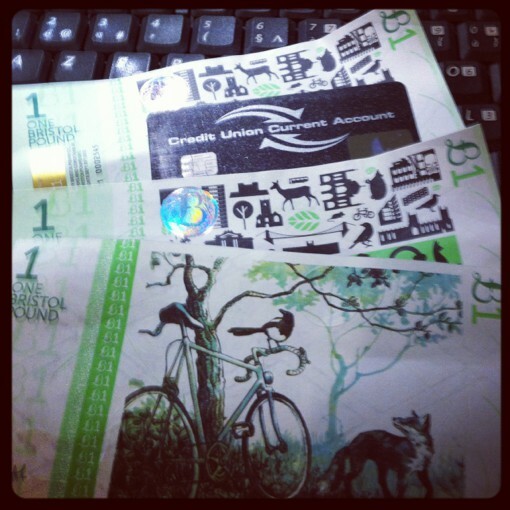 Since I started to write this post, and trust me being on an 8-4 shift waking up at 5.30am every day, it took some time, I have been spending the Bristol Pound large. I've now found a more convenient that Tesco independent shop to get my food from after work, The Better Food Company in St Werghburg's. I had some pretty amazing veggie stuff that I got on a whim and very nice organic pastas (on two for one offer), sauce and some epic local cheese. During the trial I had a meal or two down at No. 1 Harbourside which I shall be going back to as well. 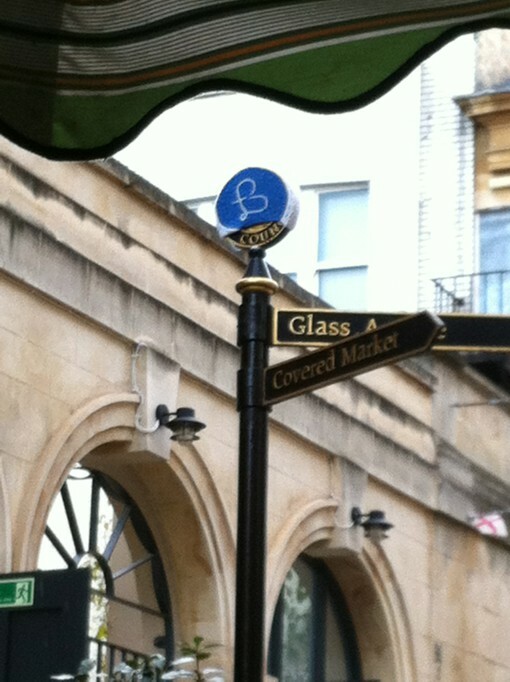 The moral of the story is get your Bristol Pound! Yum, brownies and pulled pork. They had some pretty epic BBQ sauce as well. did you get any mayo on your pork?